McHenry County Building & Construction Trades Council has formally endorsed Nancy Zettler for Illinois State Representative in the 66th District. Nancy Zettler is pictured with members of MCBT. The McHenry County Building Trades & Construction Council made a $1,000.00 donation to the Sage YMCA in Crystal Lake, Illinois. Robyn Ostrem accepted the donation and is pictured with members of the MCBT. 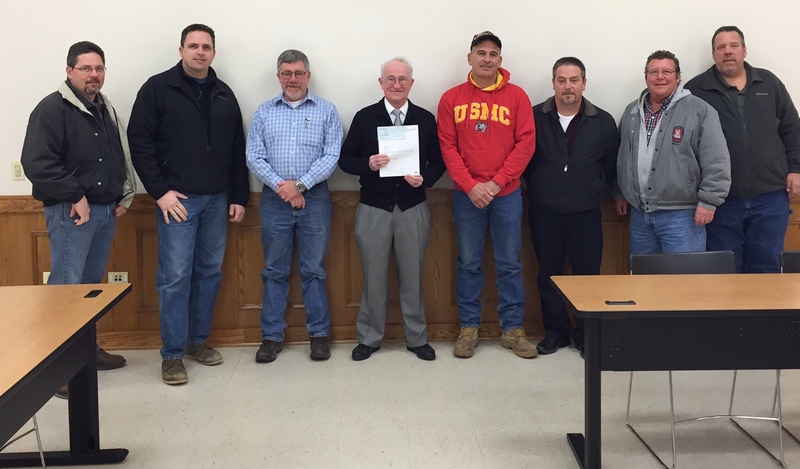 The McHenry County Building & Construction Trades Council donated $1,000.00 to Midwest Shelter for Homeless Veterans. Robert Adams, a co-founder of Midwest Shelter for Homeless Veterans, is pictured with members of the MCBT. If you would like to learn more about the shelter, please visit their website at www.helpveteran.org.